Color Silver, velvet-effect finish, paper material. Dimensions (L x B x H) cm: 12 x 9 x 39. 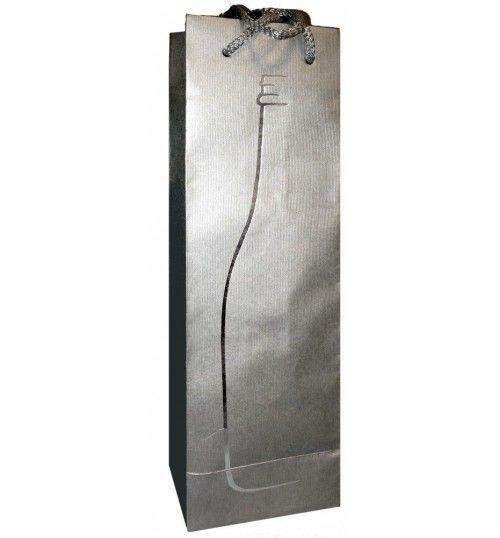 Gold Wine Shopper Luxury line for 1 Bottle Color Silver, velvet-effect finish, paper material. Dimensions (L x B x H) cm: 12 x 9 x 39. Notes: The shopper comes folded. It does not include bottles of wine.